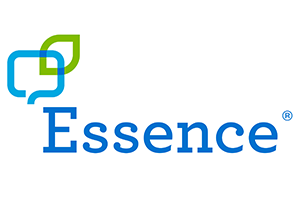 A powerful, yet simple, spelling-based program designed for literate individuals such as adults with ALS, the Essence language system combines spelling with word prediction and abbreviation expansion for expressing thoughts. Essence is the language system for literate adults who, due to a stroke, a traumatic brain injury or a degenerative neurological disease such as ALS, need a way to actively engage at home, in the workplace, in social situations and in medical settings. Optimized for use with PRC’s Look™ (eye tracking technology) and NuPoint® (head mouse technology), Essence combines spelling with word prediction, abbreviation expansion and quick messages for efficiently expressing thoughts. Essence enables adults to maintain relationships with loved ones, take part in social and family activities and achieve their highest level of independence and autonomy. An Integrated Feature Pack is also available to enable web browsing, social media, email access, navigate internal and external computers and more.